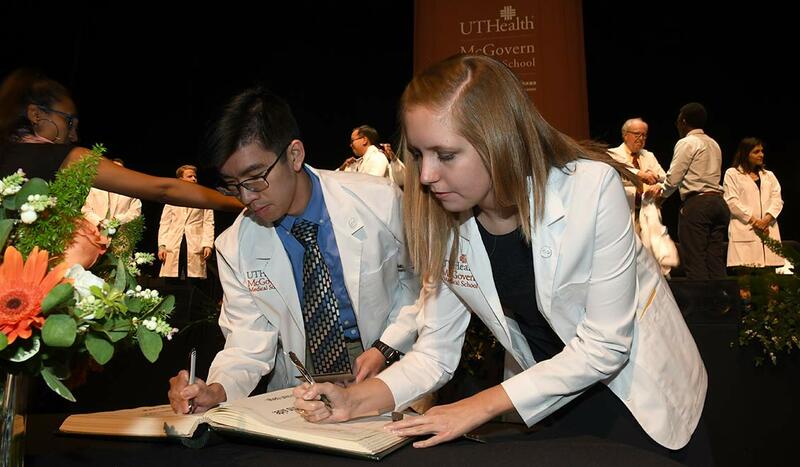 Thank you to everyone who helped us raise $12,875 for the 2019 McGovern Medical School White Coat Fund during the inaugural UTHealth Giving Day! Our expectations were exceeded for the first day of this campaign! We are so close to our goal of $18,000---this could fund coats for the entire incoming medical school class. With each gift, you show your support for these students! Thanks to your incredible support last year, we were able to reach our full $18,000 goal and purchase a white coat for every single first-year student entering McGovern Medical School, an incredible 240 white coats! What started as a goal to raise $2,000 to fund five white coats quickly grew into something even bigger than we could have imagined and we are so grateful for the support that was provided to accomplish this wonderful achievement. We are so excited to kick off this special campaign again this year, and we have our sights set on breaking that fundraising goal once more. Once again, our goal is to raise $18,000 for 240 white coats for the class of 2023. Each gift of support launches the career of a first-year medical student in the best possible way. A white coat that is funded by donors like you is a symbolic vote of confidence for these students as they begin their medical careers. Established by the Arnold P. Gold Foundation, the first ever White Coat Ceremony was held in 1993. The foundation created the ceremony as a way to welcome medical school students into the medical profession. In addition to donning their white coats for the first time, students recite the Hippocratic Oath, reminding them of the sacred promise between caregiver and patient. The gold lapel pin they will receive from the foundation contains an inscription about humanism in medicine--a visual connection to our school's values. The White Coat ceremony is a special occasion for the entering class of McGovern Medical School and marks the day when over 200 young men and women become first-year medical students. This year's ceremony will be held on Thursday, August 1. 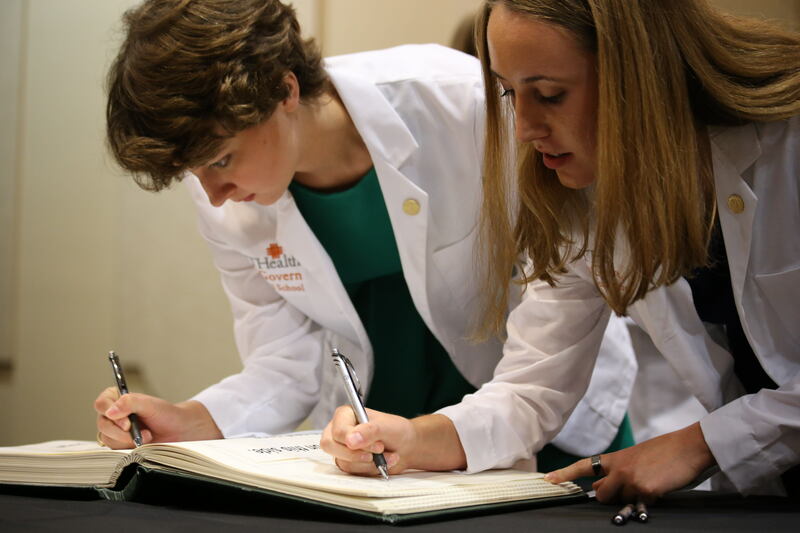 We are proud to be McGovern Medical School, where our students can carry on the McGovern ideals of excellence, humanism, and compassion, as they have been since the first White Coat Ceremony at McGovern Medical School in 1996. We hope you will consider continuing the legacy of the Arnold P. Gold Foundation and support our first-year medical students with a white coat this year. Provide white coats for half of a tank, or 3 students, a group formed during first year anatomy. Provide white coats for a full tank, or 6 students, a group formed during first year anatomy.